Silky Suds. 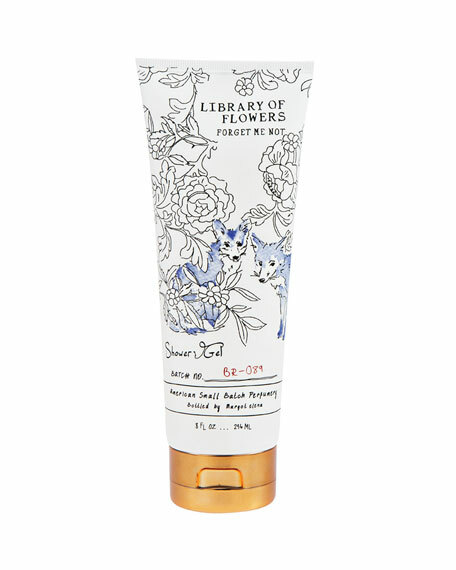 Treat yourself to a tub of bubbly and soak in the bliss rich in replenishing Coco Butter and skin-pampering Green Tea. 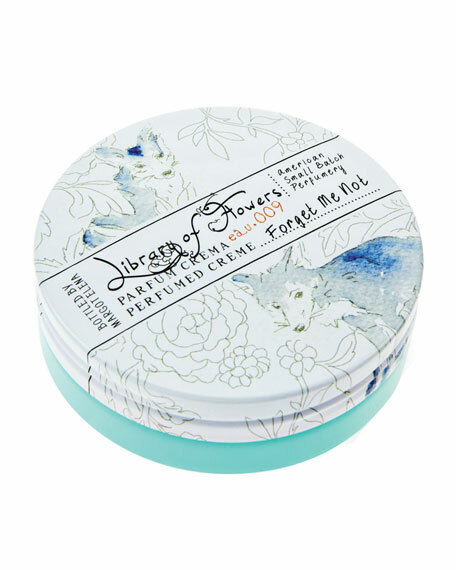 A special blend of soothing Ginger & Lemongrass melts away worries while lavish moisturizers envelop your body in exceptional softness. 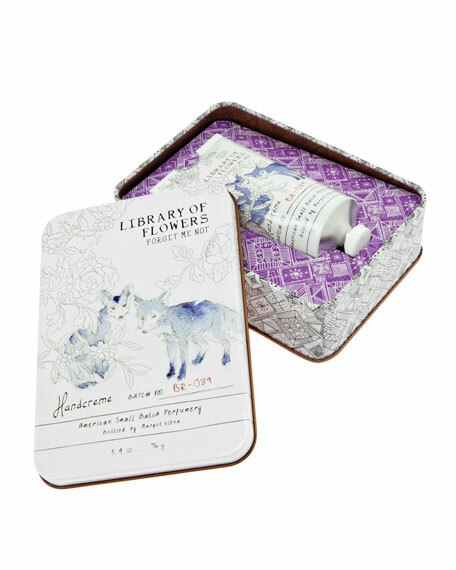 Divinely creamy. 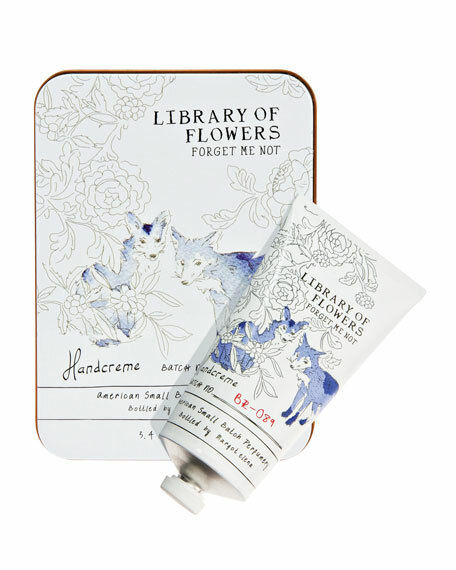 Library of Flowers hand cream is specially crafted to dissolve quickly into skin, generous amounts of Coco Butter & extra-conditioning Shea Butter deliver deep hydration to parched skin. 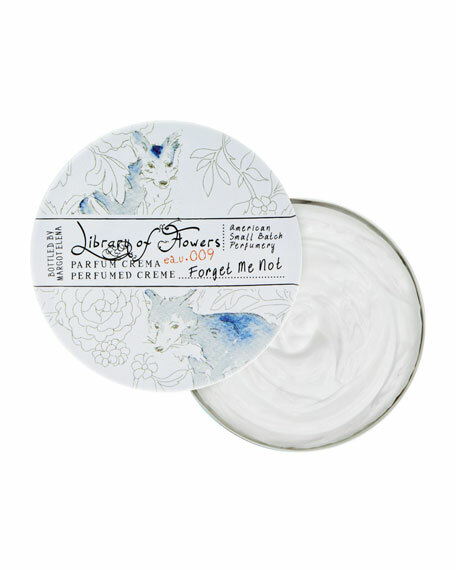 A replenishing pick-me-up, restorative Macadamia Nut and healing Avocado Oil infuse this unique formula with superior soothing power. 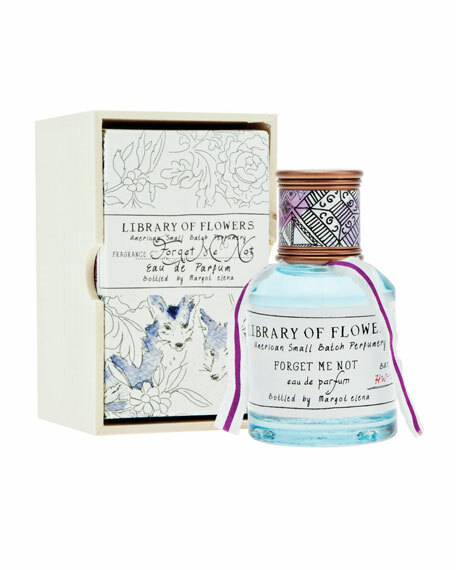 Sublimely scented & irresistibly soft: sweet, silky joy is at hand! 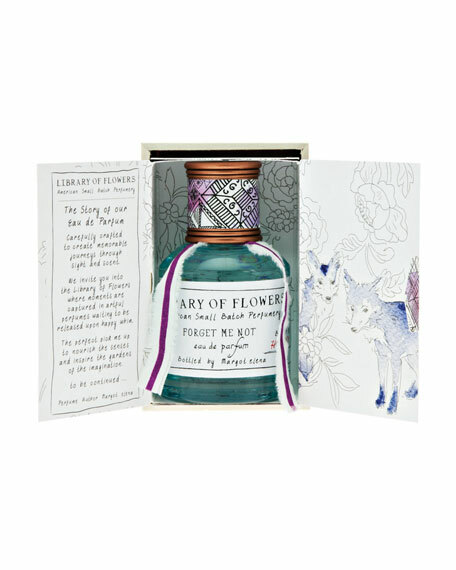 The Art of Perfume Delivery Re-imagined. 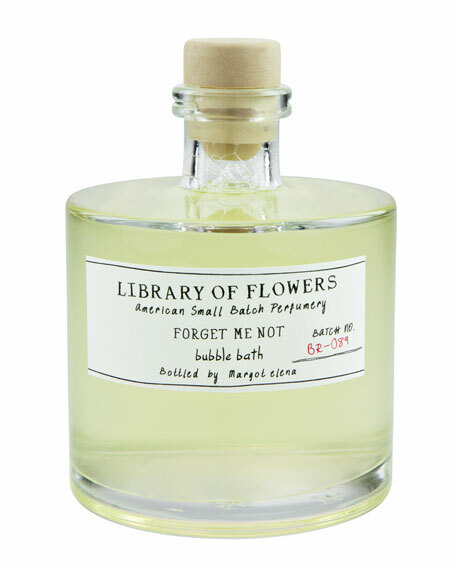 A triple-scented perfume alternative, the Library of Flowers Parfum Crema is a modern interpretation of parfum intended to be worn in place of traditional fragrance. 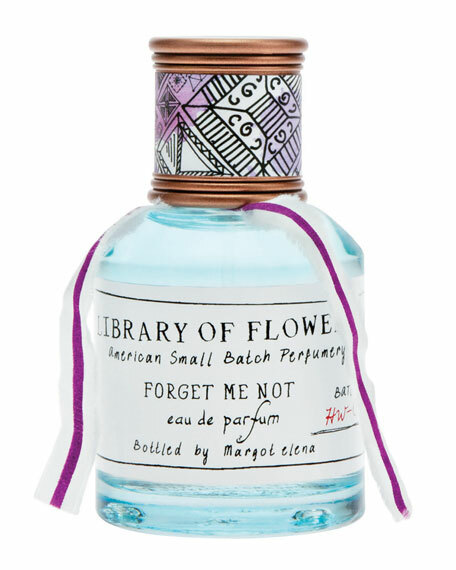 With three times the fragrance of our Eau de Parfums, a dab (or two!) 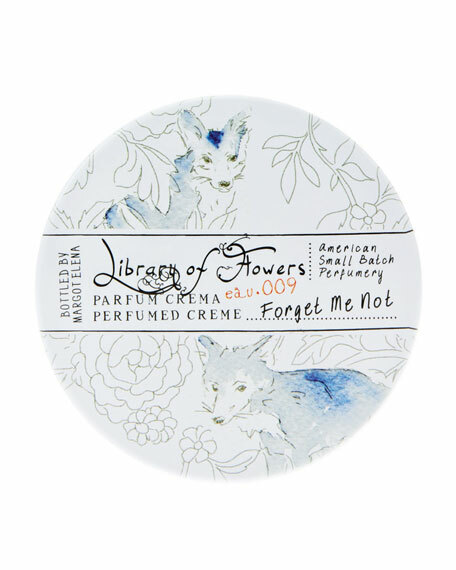 of Parfum Crema can be worn alone as perfume. 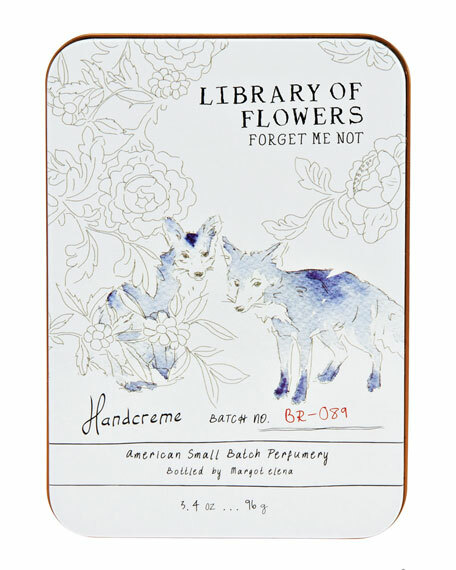 For an overall body experience, layer on Library of Flowers extra-moisturizing Coco Butter Handcreme. As seen in the "O, Beautiful!" feature  O, The Oprah Magazine, April 2013. 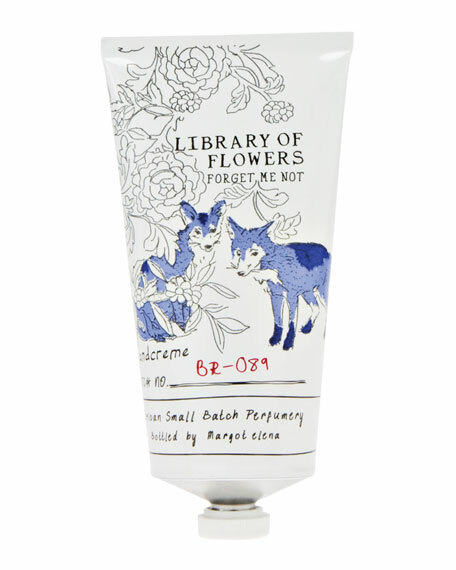 Library of Flowers Forget Me Not Shower Gel, 8 oz. 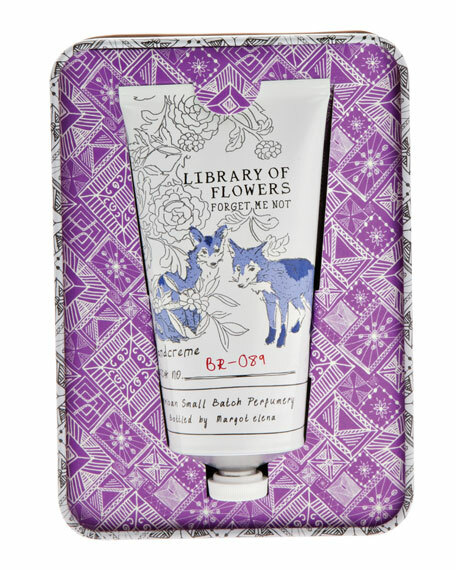 Library of FlowersForget Me Not Shower Gel, 8 oz.